Brick Bungalow In Heart Of Hermann. Property 1: Brick Bungalow In Heart Of Hermann. A peaceful country setting that invites you to sit back and relax! Property 3: A peaceful country setting that invites you to sit back and relax! 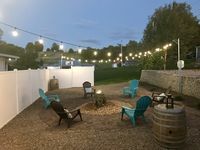 DeFlorin Stone Cottage Inn, Hermann's Must See Historic Stone House With View! Property 4: DeFlorin Stone Cottage Inn, Hermann's Must See Historic Stone House With View! Beautiful historic 3 bed 3 bath Guest House w old stone wine cellar!! Property 5: Beautiful historic 3 bed 3 bath Guest House w old stone wine cellar!! Property 8: Maifest-Hermann, MO Entire Home! Property 13: 4 bedroom Whole House Rental in the Heart of Downtown Hermann - Walk Everywhere! SPACIOUS HISTORIC DOWNTOWN LOFT! BEST LOCATION IN THE HEART OF TOWN! Property 15: SPACIOUS HISTORIC DOWNTOWN LOFT! BEST LOCATION IN THE HEART OF TOWN! Private Whole House Rental Accommodations to Sleep 11 Guests! Property 26: Private Whole House Rental Accommodations to Sleep 11 Guests! Get Away From It All! Escape To Peace And Quiet! Property 29: Get Away From It All! Escape To Peace And Quiet! Farmstyle Rental :: Perfect for 4 People! 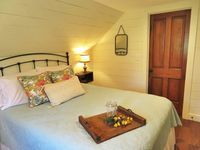 Property 30: Farmstyle Rental :: Perfect for 4 People! Beautiful, Quiet, Grand, Romantic. The perfect escape. Property 32: Beautiful, Quiet, Grand, Romantic. The perfect escape. BUCKSNORT LODGE!!! A Peaceful Rustic Home In The Heart Of Missouri Wine Country. Property 39: BUCKSNORT LODGE!!! A Peaceful Rustic Home In The Heart Of Missouri Wine Country. Epple Haus - in a Valley Near the Gasconade River! Beautiful cottage, felt like home. We were so pleased with our stay at Wine Country Cottage. It was cozy and comfortable plus it was sparkling clean. The owners are so incredibly friendly and accommodating. These ladies have thought of everything from coffee and extra pillows to flashlights and shampoo. We really enjoyed the great set up that was in the backyard too! I will definitely book here again. Immaculately clean with lots of beautiful decor.